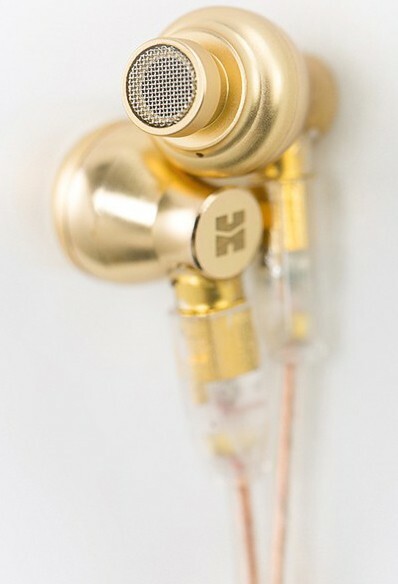 These gorgeously designed earphones encapsulate the brand's pioneering vision with a unique topological diaphragm that utilises nano technology and sleek contoured design. 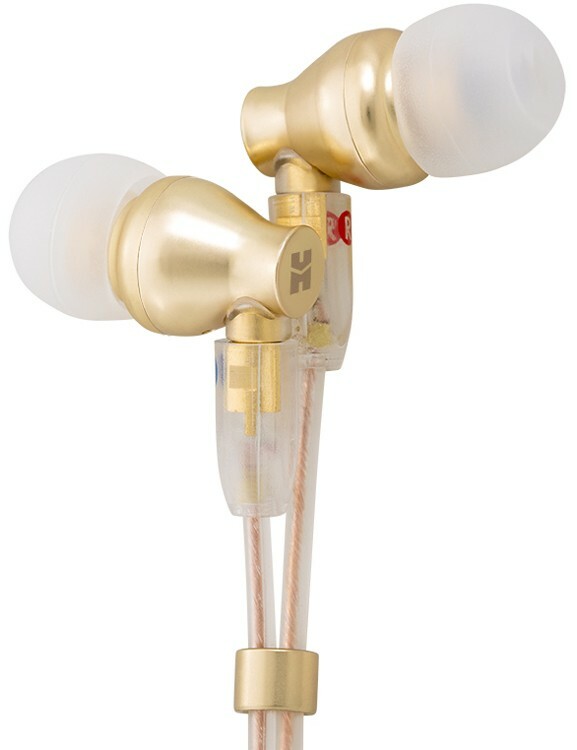 HiFi Man RE800 Earphones combine a stunning, gold-toned aesthetic with high-calibre performance to deliver a stellar design. 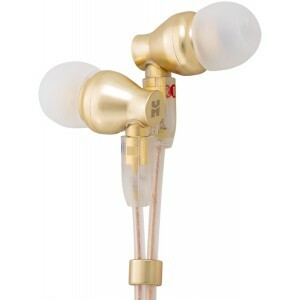 The RE800 enjoys a lustrous gold look and detachable cable that truly sets it apart from its competitors. The new user replaceable cable with MMCX connector is carefully selected for its performance characteristics and notably its low cable capacitance. This all translates into a more exciting and clean upper-frequency range performance. The “Topology Diaphragm” or “Topology Driver” refers to the diaphragm with a special Nanoparticle coating applied to its surface. The distribution of the coating has distinct geometric patterns. By varying the surface pattern, compound used, the thickness or geometric pattern sound wave formation can be manipulated to achieve the desired audio effect and control. The idea behind the new Topology Diaphragm was inspired by Dr. Fang Bian’s Ph.D. thesis that “different Nano materials have differing structures and each of those materials have its own properties”. Therefore, by carefully controlling the diaphragm surface structure you can yield different results in acoustic performance to a degree previously unobtainable. With a rich, silky smooth acoustic sound signature, the newest IEM has all the detail and subtlety you would expect from HiFiMan. Yet delivers all the exciting dynamics that takes you front and center. The inadequate soundstaging produced by Balanced Armatures is caused by the way sound waves are formed by armature's multiple wave reflection and diffraction in the driver, which can cause high levels of distortion. Therefore, armature based IEM's have very little breadth and yield a sound flat and without emotion. The RE800, however, offers the perfect blend of rigidity, resonance and musicality. HiFiMan's utilisation of advanced depositional technology and research makes for a driver unlike any other in the world. With the creation of Topological Nano scale layer application technology, upon a driver diaphragm, allows for the manipulation of sound wave creation like never before.No other driver technology allows for such control and precision resulting in clarity, detail and nuance so it can best the world's most complicated multi-driver setups but with none of the coherency and crossover issues. While Brass made for the perfect housing material for the acoustics, it did not quite convey the fine richness of its audio output. Thus, the RE800 24k Gold Edition has been electroplated to give it a lustrous sheen that befitted the golden, rich audio inside. The smooth flowing contours are ergonomically designed to fit you and your ears perfectly. With unique Nanotech “Topology Driver”, the technology inside its golden exterior transitions from man’s oldest metal working to the latest technological audio advancements.